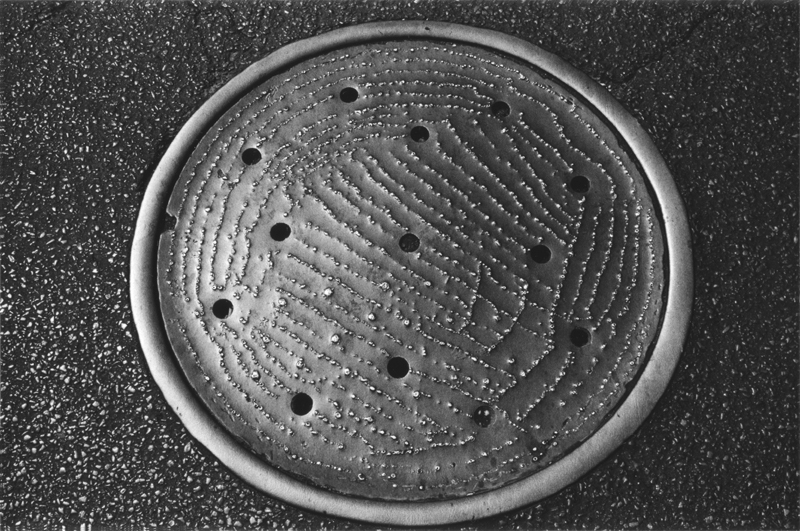 Manhole #17, from the portfolio: 27 Manholes, 1969-1971. Silver gelatin print, 9"x6", printed 1969-71. Available only as part of the Manholes Portfolio.